high quality plywood and wooden crate packing to safeguard this expensive and royal product. 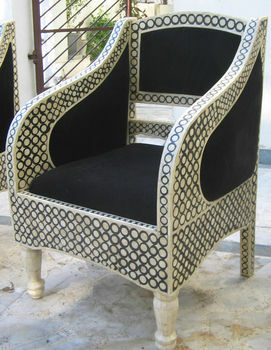 Presenting Exclusive Camel Bone & Mother of Pearl Inlay furniture by Classic Silvocrafts, India. This is an exquisite and painstaking art of making camel bone inlay and mother of pearl inlay furniture, first making solid teak wood furniture and hand engraving designs, and then hand filling of camel bone and mother of pearl pieces, to create excellent furniture items.